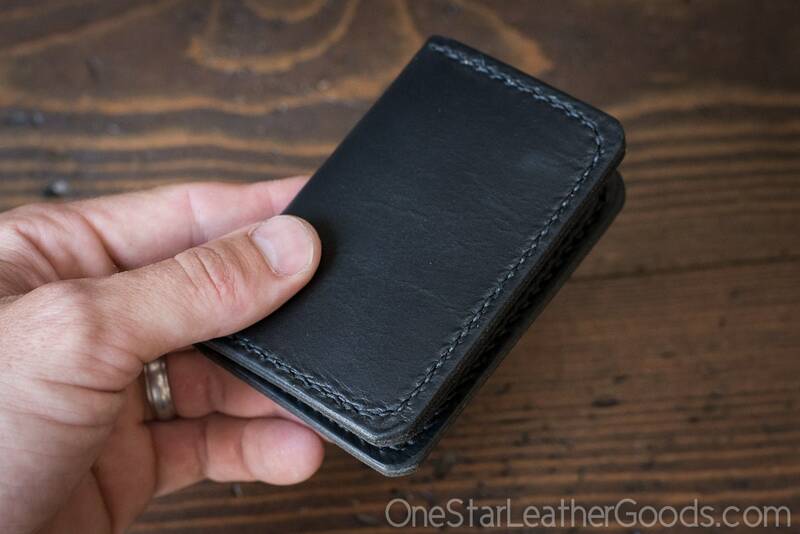 Simple, minimal folding wallet or business card holder. 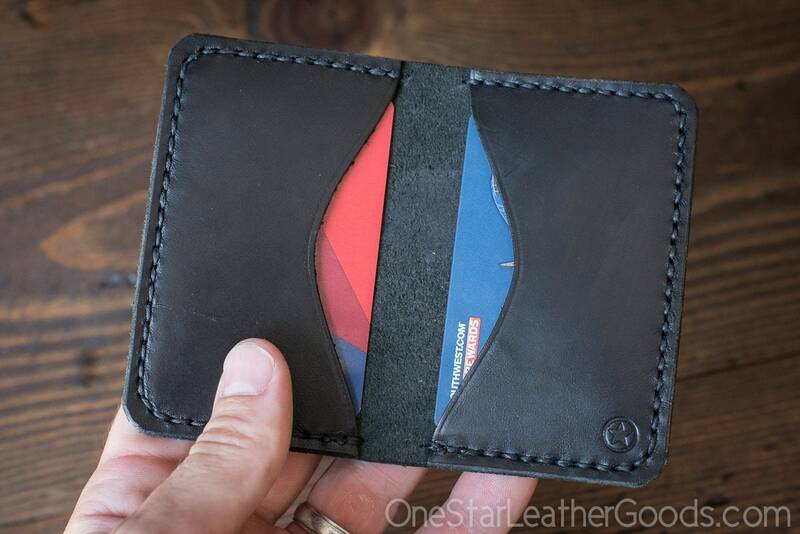 Plain n' classy outside, your cards secure and protected on the inside. Two pockets inside fit business cards, credits cards, special phone numbers, tooth picks, guitar picks, lock picks, etc. My father-in-law carries this wallet and loves that US bills fit perfectly loose in the middle when its folded. Pockets can expand as it breaks in to hold at least 10 cards each. Leather is legendary Horween Chromexcel and will age like a champ.